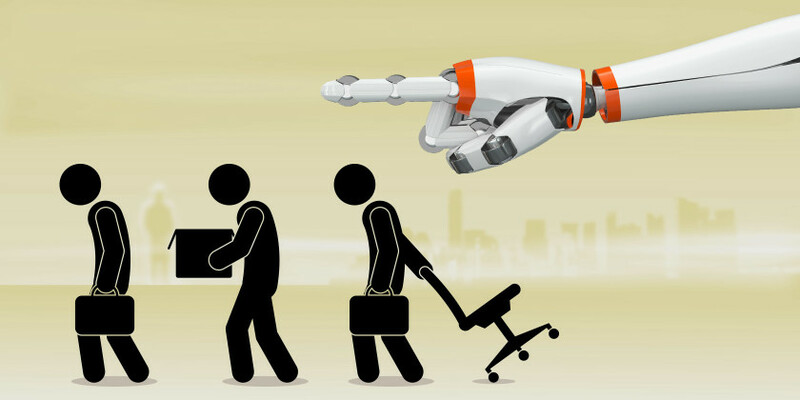 Many activities and tasks traditionally completed by people are getting automated. In fact, much of the technology is already in place. In many instances, humans continue to work at certain jobs only because of customer preference. However, jobs that require insight and creativity; oral and written communication; or require originality won’t be automated; only those that require low skill or are tedious and repetitive. For instance, it takes imagination and creativity to write a blog post, so these will never be replaced by article spinners and grammar checkers. The best article spinners can only come up with simple sentences, often erring toward churning out word salads. Similarly, grammar checkers are often befuddled by the complexities of language, stymied by simple things like if words are used correctly in a sentence or not. Marketing is a creative field, and it’s difficult to imagine it as ever becoming completely automated. However, not all aspects of a marketing campaign require creativity, intuition or insight. Many key tasks are repetitive, and therefore can be easily automated. Consequently, enterprise MAP can automate tasks like sending emails, uploading blog posts or posting on social media. Repetition is important because tasks that are performed several times increase the chances of reaching more customers. Although it might seem like it takes some creativity to talk someone into buying a product or service, most of the time human operators leave messages on voice mail. Conversely, robocalls never get bored out of their minds, feel rejected when people curse them or hang up or experience existential angst. Moreover, they can work a double-shift without taking a single coffee or bathroom break. Although many aspects of keeping your data safe are already automated with software, security analysts will always be in high demand to stay aware of the latest threats, promote secure email practices, train employees in recognizing scams and much more. Since data entry is tedious, human performance tends to get worse over time. Today, software is becoming increasingly reliable at mimicking data entry, which may eliminate the need for humans. At most, humans might read over data entry to make sure that it reads well. ATMs can do the same work that bank tellers do. The only real benefit of using a bank teller is to ask questions about a transaction. Cashiers do exactly what self-checkouts do, and the only reason to use a cashier is that it entails some human interaction. In the future, it might be more cost-effective for businesses to fully automate these services. It’s no longer necessary for companies to hire someone to route calls. Virtual receptionist software does the job both better and faster. The only reason receptionist jobs still exist is because many customers prefer talking to a live person. Telephone operators answer phones for companies and assist with call services to emergency personnel like doctors. However, software and outsourcing services will reduce the number of telephone operators hired by companies in the future. With email making paper mail almost obsolete, mail carriers will no longer be necessary as the world becomes increasingly paperless. In the event that paper documents and letters are still important, these can be managed through post office boxes or cluster mailboxes. Looks like your dog will have to find something else to bark at. Before the Internet, it was necessary to visit a travel agent to book a flight, find good deals or get some ideas for suitable travel destinations. Now, all these needs can be perfectly managed online. The only reason typists still need “to take a letter” is because voice recognition software has glitches. Still, the technology is improving constantly, and it’s reasonable to expect that a time will come when the software can type out exactly what a person says. While it’s unlikely that people will stop researching and writing the news, artificial intelligence is quickly closing the gap. For example, the Washington Post is using Heliograf, a bot that’s showing a high level of sophistication. Although the idea that machines are slowly replacing human labor may seem like an alarming trend because it undermines job security, this is only one side of the story. When human beings are freed from tedious work that can be done better by machines, people will be free to take on more fulfilling work that requires original observation, creativity and insight. And if you ask us, that seems like a bright future that’s worth looking forward to.